For 35 years and counting, Deco Truss Company has been exporting trusses and building materials to the Caribbean. Fashions and fads may have changed over those decades, but our commitment to providing quality products on time and on budget has never wavered. And especially in the wake of the hurricane devastation, we’re proud to help with (re)building in the Caribbean. Noteworthy about our latest Caribbean project was the tight timeline. They needed this job to fly. All trusses and materials for this project were supplied over a 3-month period from start to finish. Importantly, we were working with a great contractor on this project—Richard A. Sooree, Managing Director of the Altavista Group. Altavista is one of the industry’s leading specialist design/build firms, providing integrated solutions for the built environment. 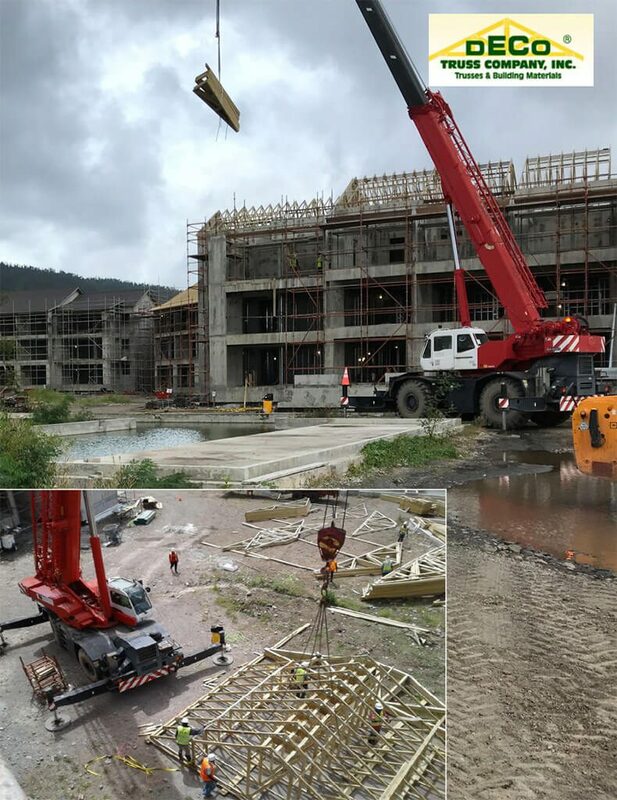 The pictures show the new resort being built on Dominica, Cabrits Resort Kempinski. In September 2017, Hurricane Maria made landfall in Dominica as a Category 5 storm, so the damage was catastrophic. But the determination and commitment to rebuild the island and its tourism industry are stronger than the storm.